You have probably heard the term centralization of pain discussed in relationship to chronic pain. But what is it exactly? Dr. Karl Hurst-Wicker, an anesthesiologist that specializes in pain management, explained it to me in an interview I did with him. 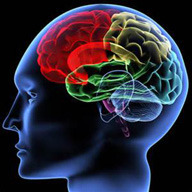 Our brain is a control and processing center for our central nervous system. It controls voluntary actions, like moving your arm to pick up a pencil and write a letter, and involuntary actions like sensing the warmth of the sun on our skin. It is a complex and intricate organ that we continue to research extensively so we can understand it better. Imagine you’re in a car accident. After the accident, you find that when you press down on the gas pedal it takes a minute before your car starts to speed up. You take the car to the shop and the mechanic determines it’s your fuel injector. He fixes it and while the fuel injector runs fine on the scanner, and to the naked eye, the car still won’t accelerate when you punch on the gas. That’s what chronic pain is like; even though the initial problem has been solved, the pain remains. When we as physicians discuss centralized pain, we are talking about pain that is occurring at the level of the central nervous system, pain coming from the brain and the spinal cord. Most of the time, this occurs due to direct injury. Some people experience centralized pain after damage to their brain from a stroke or damage to their spinal cord after a trauma. The difference between centralized pain and other pain is really in the location where things are happening. Compare pain originating in the brain or spinal cord (central) to a broken arm or a sprained ankle, where the injury in considered “peripheral." When you have pain from a peripheral location, the pain signal is transmitted from one nerve to another in several places. In some ways, it’s like the telephone game you played as a kid, where one person whispers a message to another. The message is passed through a line of people until it reaches the last player. The signal isn’t as strong by the time your brain receives and registers the pain signal. What makes pain coming from within the brain or the spinal cord so severe is the reduction in those transfers between nerves; when you have less people in the telephone game, the message is more likely to get through unadulterated—in the nervous system the less nerves the pain has to traverse the more intense the pain will be felt. When physicians talk about “central sensitization” or “centralization” of pain, we are talking about abnormal signal processing by your brain and spinal cord. When someone has developed central sensitization, they have experienced changes on a cellular and molecular level in their brain and spinal cord. Because of those changes, the way someone with central sensitization experiences stimulation of their nervous system is different. Now things that should feel normal or enjoyable like water running down your arm in the shower, a soft cool bed sheet resting lightly on your legs, your loved one gently holding your hand, can feel harsh or painful. Because of changes that occur in the central nervous system, the volume is amped up. Take the telephone game example, someone in the middle of the chain purposely changes the story to something outlandish so the story received bears no relation to what was originally said—that’s central sensitization.